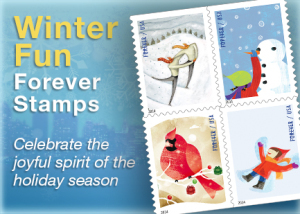 Now is the time to make sure you are using USPS Holiday Stamps for your direct mail marketing campaigns. 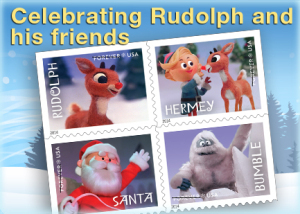 It’s the festive time of year and our customers expect a little festive addition to our mailing campaigns. You will need quality data for your direct mail lists to ensure you get the best ROI. 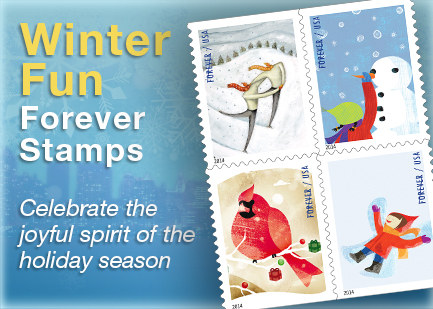 New additions to the USPS Forever Stamps Collection are now available. The Holidays are busy enough without having to stress over how to make our marketing pieces targeted towards only those who are likely to respond to our message, how to comply with USPS postal regulations, how to get the best postal rate and last but not least how to better guarantee that the recipient of the marketing piece will respond. We have a few marketing ideas which just may relieve the tension. No time to do the prep? We can also help you print and mail your marketing campaign. How easy is that?